Dressage is underway on the first day of the Mitsubishi Motors Badminton Horse Trials. Under blue skies and with welcome rays of sunshine making an appearance, Sam Ecroyd performed the guinea pig test aboard Kasseedorf in front of the Ground Jury, Sue Baxer, Christopher Hess and Katrin Eichinger Kniely. 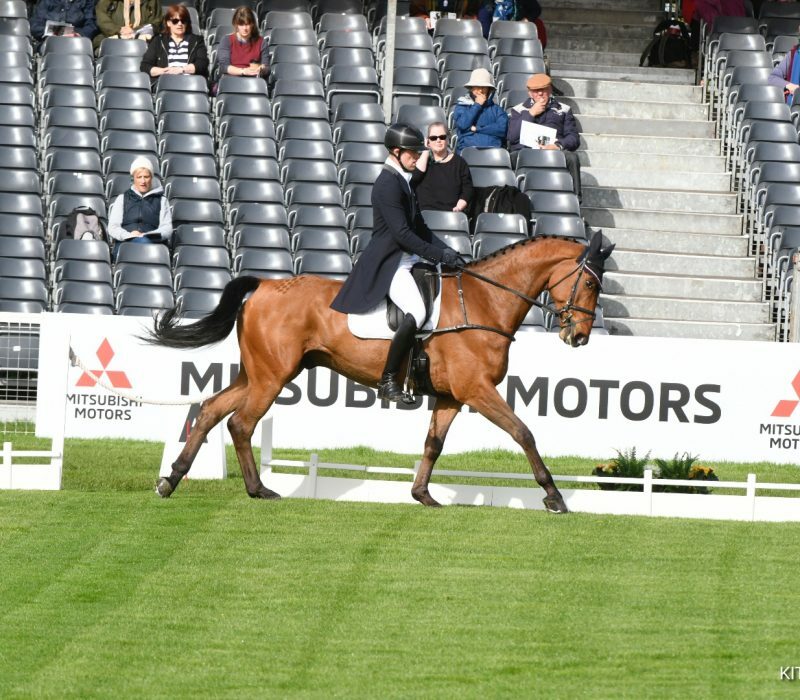 This was the first time we have seen the new CCI4* dressage test being ridden, which debuts here at Mitsubishi Motors Badminton. “It flowed really well and felt nice to ride,” said Sam, who earned plenty of 7s and 7.5s for his effort aboard the 14-year-old gelding. “I felt it tested all the basic training with the more demanding transitions within the pace, the canter stretching on a circle and the halt and rein back before the canter. The first group of riders into the arena this morning includes last year’s winners, Andrew Nicholson and Nereo, Mark Todd on Leonidas II and Oliver Townend with Cooley SRS – Oliver bidding to be the third rider in history to secure the Rolex Grand Slam following his Burghley win last autumn and victory in Kentucky last weekend.